RIVERSIDE, Ill. (WLS) -- Erik Quiroz, 30, was charged with DUI after police said he drove through five red lights in west suburban Riverside. Police said he drove right past a marked police vehicle in the 3200-block of Harlem Avenue around 3:20 a.m. Tuesday. The officer inside the squad car said the 2009 Nissan did not stop at five consecutive red lights. 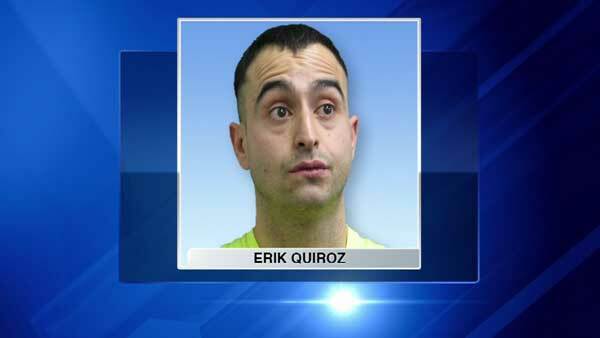 Quiroz, of Berwyn, failed a field sobriety test. The results showed his blood alcohol content to be twice the legal limit. Officers said passengers in his car had also been drinking and there were open bottles of beer near the driver's seat. Quiroz was charged with two counts of DUI, five counts of disobeying a traffic control light, driving without insurance and possession of open alcohol by a driver.